This entry was posted in Australian Skilled Visas and tagged About working in Australia Australia How to apply Australian work visa? migrating to Australia migration SkillSelect visa program process visas What is skillselect Australia? 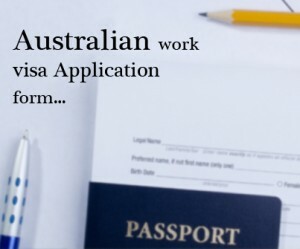 work visa working in Australia on March 3, 2014 by Blog Author. To say or state that Australia is a beautiful country and is one of the ultimate destinations is to state the obvious. So, visiting and migrating to Australia the island-country-continent is likely every person’s dream. Whether it is the natural beauty there, the landscapes there, or the sophistication and quality of life that the country’s cities have to offer, Australia is right there at the top of the list and justifiably so. So and but what about working there for an alien/foreigner, who, as a next step is also keen on migrating to Australia? What has the country got to offer to those outside it, work-wise and for migration? The country in fact offers a wide range of temporary and permanent skilled worker visas. Australian laws also provide all employees – whether domestic or alien — with basic rights and protection at the place of his/her employment. 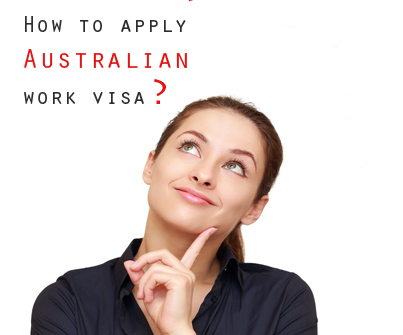 How to apply Australian work visa? The first step in the process of availing of a work visa, for working there using it and through which one can also migrate, is the process of submission by an ‘expression of interest’ (EOI) for a skilled worker-type visa through ‘SkillSelect’. When an applicant submits an ‘expression of interest’ through ‘SkillSelect’, the government of Australia may invite the applicant to submit a visa application or, even possibly the applicant could be directly nominated by the Australian government, or state and territory government. What ‘SkillSelect’ does is that it allows Australia to plan, decide and augment its workforce requirements for its economy by allowing skilled migrants into the country. Thus, it is intended that ‘SkillSelect’ will allow qualified and experienced to express their willingness in and demonstrate/showcase their skills in occupations which are facing a shortage or are crucial to the Australian economy. The SkillSelect programis applicable for the following visas: ‘Subclass 189 skilled’, ‘Subclass 190 skilled’, ‘Subclass 489 skilled’, and more such visas. Thus, the SkillSelect visa program usually starts with a ‘EOI’ which helps/assists in gauging the applicant’s skills and is followed by the employers or the governments making a decision on the applicant’s suitability for the open job/position at hand and also decide on their prospects for migration. Also, the SkillSelect visa program is designed to work in such a way that only the Australian work visa application applicant’s relevant details are available to be seen or accessed by the employer for their assessment of suitability for them. More specifically, prospective employer companies will not be able to (or, are not allowed to) review any identifying information which is usually considered as personal information. Also, an applicant to the ‘SillSelect’ program must update his/her Australian work visa application form (EOI). And, yes, a great many of Australia’s employers use ‘EOI’ and ‘SkillSelect’ to decide on the suitability of the applicant for the many types of visas on offer. Want to know more about this click on Australia’s ‘SkillSelect’ Program.